The recommended daily value (DV) for salt, or sodium chloride (NaCl), is around 2300 milligrams. But, because of the huge amounts of sodium found in the foods we eat – even ones we wouldn’t expect to be so terribly high – we often get far more than 2300 mg in a day, sometimes even over the course of a single meal! On average, most of us consume around 3300 mg a day – well above the recommended DV. If you’re working out regularly, that’s actually not a horrible intake. You lose a fair amount of sodium through sweat, so having a bit extra is helpful. But, if you’re sedentary, you generally want to stick to the normal guidelines. Many of us also consume far, far more than that. So if you want to know more foods to watch out for, or which foods to wise up and find low-sodium alternatives for, I’m here to help. None of these foods are entirely bad for you, and you don’t have to cut them out entirely. But, keep an eye on their nutrition labels if you’re trying to watch your sodium intake. 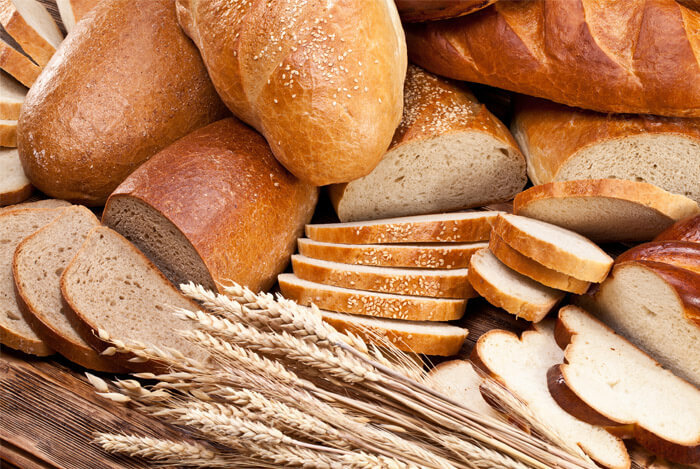 The whole grains used in a lot of breads are naturally low in salt, but lots of salt ends up being added in the bread creation process to enhance the flavor. A single slice of bread can contain anywhere from 100 to 170 milligrams of sodium, meaning you’re getting around 7% of your daily intake from a single slice of bread. 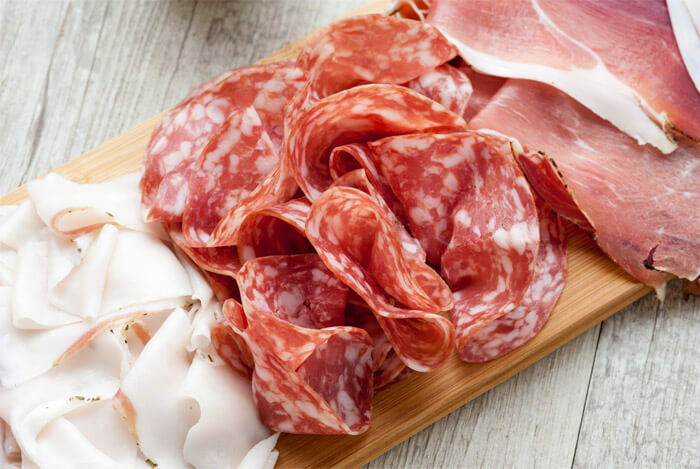 While deli meat can be a great source of protein and making them into a sandwich can be a quick and easy meal, those little slices of ham, bologna, or turkey breast are packed with sodium. And it isn’t only for flavoring. Sodium nitrate is added to fight off bacteria, provide color and texture, and to mask unsavory flavors. Making a sandwich out of the stuff can lead to more than half of your sodium DV, as 3 slices of turkey breast contain around 1,050 milligrams. With two slices of bread and whatever condiments you choose, you’re eating a particularly salty meal. 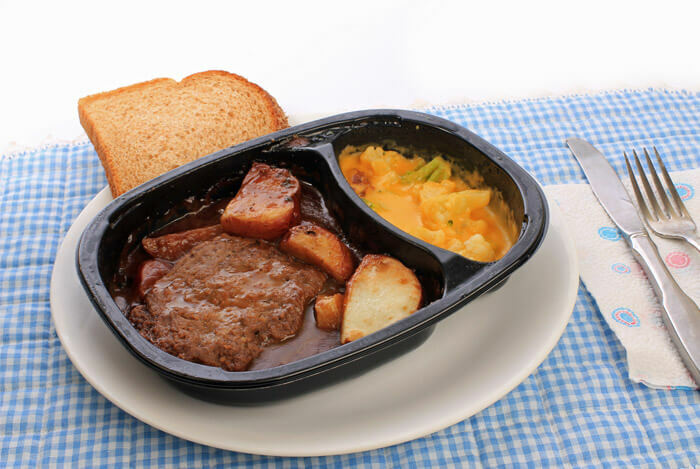 With our lives as busy as they are these days, a TV dinner we can pop in the microwave for a few minutes and serve immediately sounds pretty tempting. Sadly, they pack a frightening amount of salt. A recent study by the Centers for Disease Control and Prevention (CDC) found these convenience meals exceeded federal guidelines on sodium content more than 70% of the time. Broke college students beware. Foods like ramen noodles, when prepared with the included seasoning packets, can contain up to 1,820 mg of sodium in a single serving. So think twice before you double up. Vegetarian options may be healthier in a lot of ways – if you eat veggies, but unfortunately, when turning to the packaged stuff it’s usually made of heavily processed ingredients. Aside from their other questionable ingredients, veggie burgers are just as crazy salty as anything else on this list. Each average veggie patty has between 300 and 400 mg of sodium. 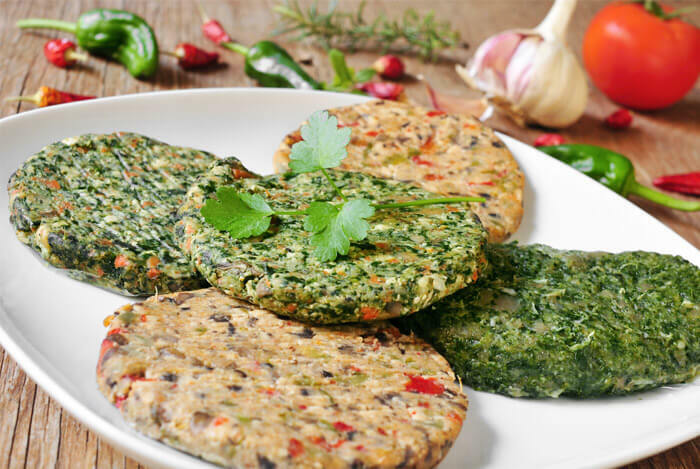 Luckily, it’s possible to find healthier, low-sodium veggie burger options, too. 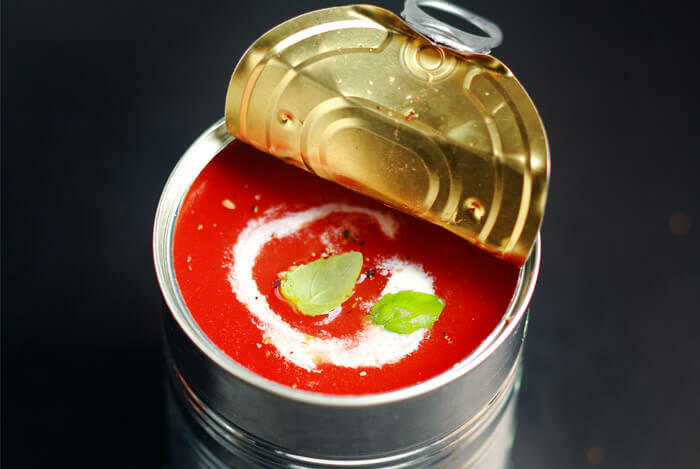 Canned soups or what you find in a restaurant might seem like the low calorie option, but they can usually contain up to half your DV of sodium in a serving. For instance, a can of Campbell’s French Onion Soup contains about 1,350 mg of sodium. The recommended serving size is normally around a single cup, but a regular bowl of soup usually contains about 2 cups. A can of Amy’s Minestrone, usually known for their organic options, contains 580 mg of sodium per cup. Even their low-sodium options are between 290 and 340 mg per cup. So, while soup might be your go-to meal for an easy lunch or to make you feel better on a sick day, try to find the soup with the lowest possible amount of salt per serving. We’re used to adding extras to our foods to enhance the flavor, some meals just don’t seem right without them. And it’s no surprise that they contain a lot of salt because of the way they taste, but the actual amount is the real shocker. When you make a pot of rice, you’re usually thinking about including some soy sauce in your bowl. 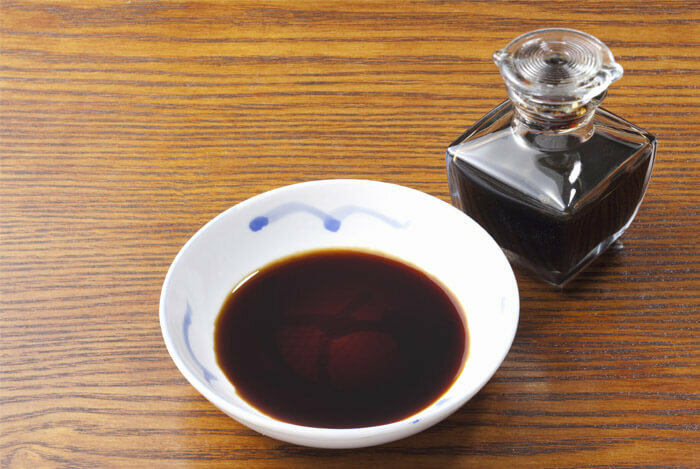 A tablespoon of soy sauce has up to 1,228 mg of sodium! That’s half of your daily value right there, and that’s not even considering the rest of your meal – let alone the rest of your day. 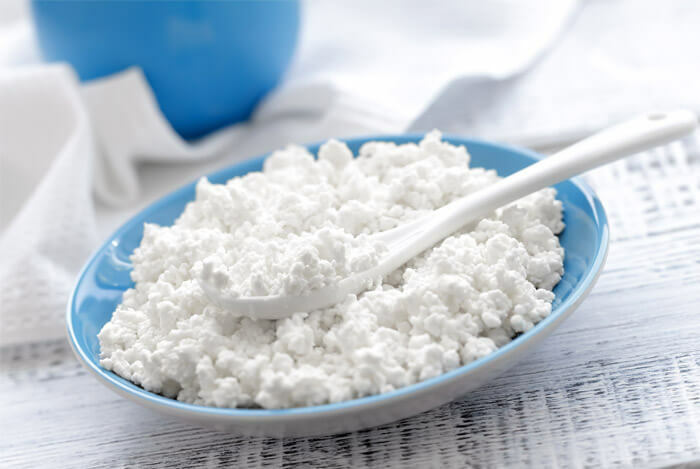 When you think of cottage cheese, you probably imagine it to be one of the healthier snacks you could eat. And it’s true, cottage cheese is a great source of calcium and protein. But a half cup of cottage cheese contains around 400 mg of sodium. A full serving of it can be nearly a third of your sodium DV. So if you’re a fan of the lumpy cheese, search for the no-salt-added variety. 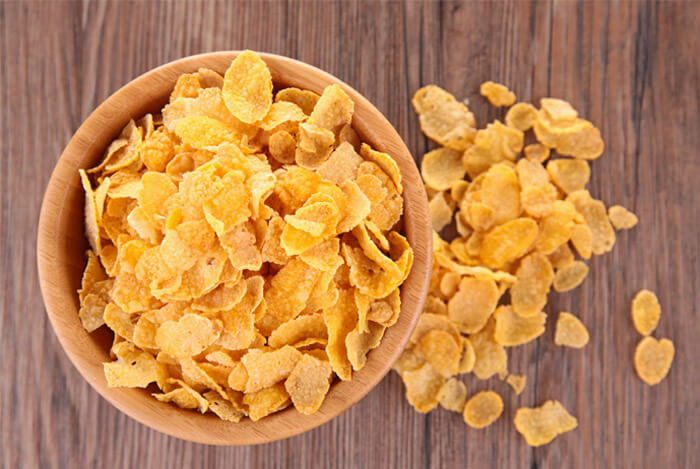 High fiber breakfast cereals can have anywhere from 180 mg to 300 mg per serving. Check the labels carefully on the cereals you choose, even those that claim to be beneficial for heart health, as they might contain way more sodium than expected. Shredded wheat or oatmeal is always a strong option for low-sodium content. Pretty much every meal you can order from a restaurant contains an extreme amount of sodium. Recent research by the Center for Science in the Public Interest revealed that nearly 85% of the adult options found in a selection of popular restaurant chains exceeded the DV for salt. 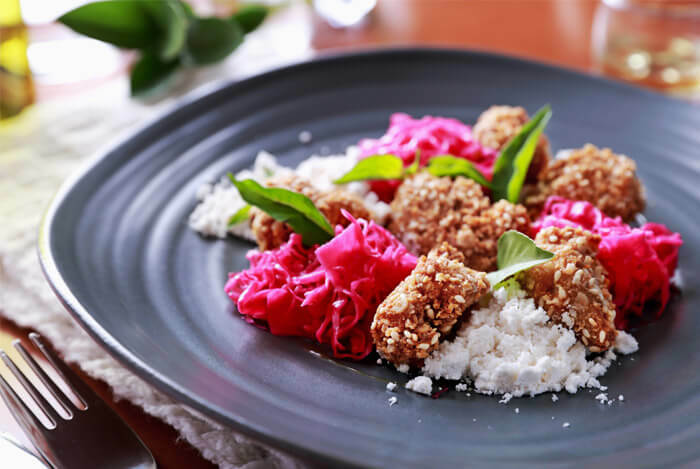 A lot of the reason why restaurant food often tastes better than what you could prepare at home is because of its additional salt content. So next time you consider going out, cook at home instead – or try and find a low-sodium option in the menu. 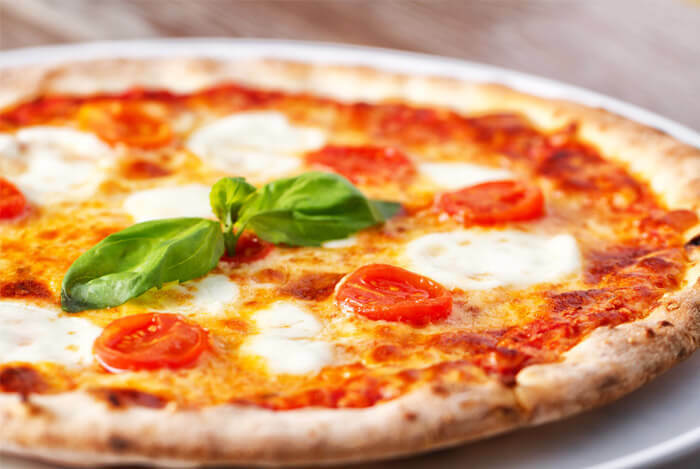 A single slice of cheese pizza contains more than a quarter of your recommended dietary allowance of sodium. Odds are, the toppings are pretty heavily salted as well. And who really stops at just one slice? It’s tough to limit salt in a pizza, though, so try and limit your intake to the very odd ‘special’ occasion. A single cup of the tomato based sauce contains up to 1,200 mg of sodium! 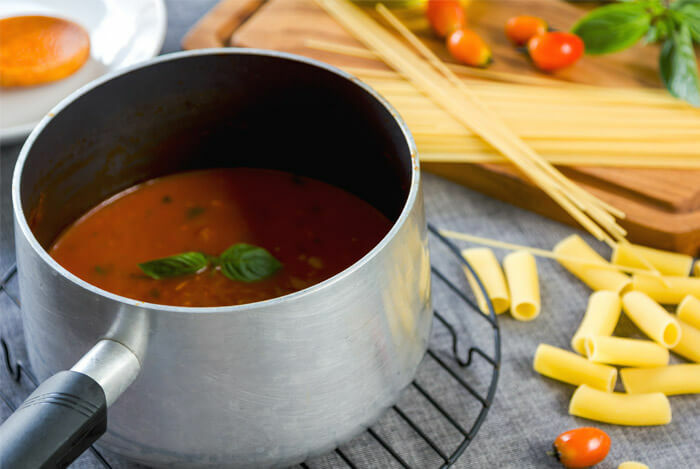 That’s why it’s highly recommended that you make your own sauce when eating spaghetti – just use fresh tomatoes, basil, garlic, and olive oil. Mix in some fresh veggies as well to give yourself an even healthier dish, and avoid all that salt. You remember that canned Kraft Cheez Whiz kids love so much? Two tablespoons of it, the recommended serving, contains 597 mg of sodium. 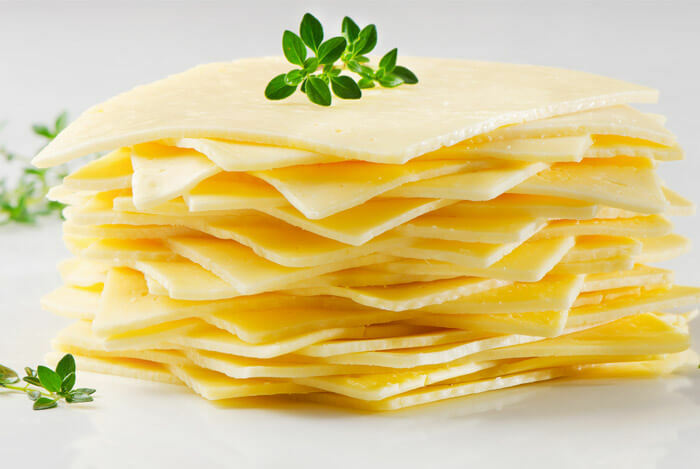 So if you’re trying to live healthier, be careful about enjoying too much processed cheese. Without ever having to subscribe to any crazy diet plans, you can reduce the amount of sodium in your diet by paying attention to nutrition labels, particularly to serving sizes. What’s your take on these high salt foods? Have anything else you’d like to share? Let me know in the comments below!